•	Following the advice of the Ministry of Health and Family Welfare, atleast 12 states in India have banned Electronic Nicotine Delivery Systems (ENDS). •	Punjab, Maharashtra, Karnataka, Kerala, Bihar, Uttar Pradesh, Jammu and Kashmir, Himachal Pradesh, Tamil Nadu, Puducherry and Jharkhand have taken steps to ban the use of ENDS. 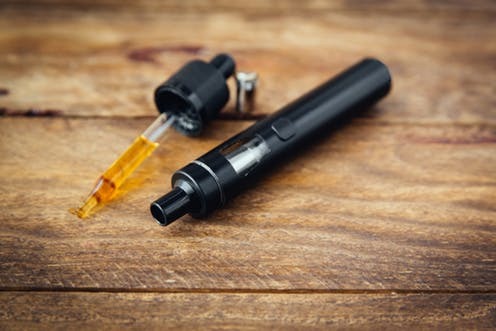 •	ENDS emits nicotine, the addictive component of tobacco products which made the Doctors claim e-cigarettes pose significant health risks to users that are frighteningly similar to those of conventional cigarette. 1. The Nice Agreement on the International classification of goods and services for the purposes of registration of marks. 2. The Vienna Agreement for setting up an International classification of the figurative elements of marks. 3. The Locarno Agreement for establishing an International classification for industrial designs. •	Accession to the Nice, Vienna and Locarno Agreements will help the Intellectual Property Office in India to harmonise the classification systems for examinational of trademark and design applications, in line with the classification systems followed globally. •	It would give an opportunity to include Indian designs, figurative elements and goods in the international classification systems. •	The accession is expected to instil confidence in foreign investors in relation to protection of IPs in India. •	The accession would also facilitate in exercising rights in decision making processes regarding review and revision of the classifications under the agreement. •	India received the first shipment of cargo from Afghanistan under the United Nations `Transports Internationaux Routiers` (TIR) convention, arriving via the strategic Chabahar port in Iran. •	The consignments were received at Nhava Sheva port in Navi Mumbai and the Mundra port in Gujarat. •	The TIR system, which India reportedly became part of in June 2017. •	TIR allows easier movement of goods across countries with the usage of TIR there is no requirement for physical checking of the contents. •	India had joined the TIR Convention (the United Nations Customs Convention on International Transport of Goods under cover of TIR Carnets) on June 15, 2017. •	The convention allows goods to be outlined in a TIR carnet and sealed in load compartments. •	President Ramnath Kovind inaugurated the Festival of Innovation and Entrepreneurship at Grambharti near Gandhinagar in Gujarat. He also presented the 10th Biennial National Grassroots Innovation Awards on this occasion. •	President Kovind said as the country seeks to meet important developmental goals and build a caring, inclusive and happy society, we have to draw upon the power of innovation to find solutions. 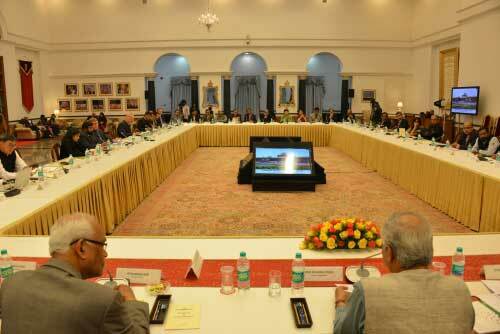 He said that grassroots level innovation can provide the solution to diverse needs of the country. •	The President said people have to make all efforts to promote an innovation culture. He said the country need to build an ecosystem for converting innovations into enterprises. This requires backing for start-ups and for incubating young innovators by providing financial, mentoring and policy support. •	Mr. Prakash Singh Raghuvanshi of Uttar Pradesh got life time achievement award for his innovations in new varieties of agriculture crops. The first prize in Veterinary, Herbal medication for coccidiosis received by Periyasami Ramasami of Tamil Nadu. •	The NITI Aayog and the United States Agency for International Development (USAID) organized the first workshop on development of the India Energy Modelling Forum (IEMF), which has been envisaged as a pan-stakeholder platform for debating ideas, scenario-planning & discussing the India`s energy future. •	The two-day workshop, being held with the support of the Pacific Northwest National Laboratory (PNNL), was organized under the Sustainable Growth Pillar of the India-U.S. Strategic Energy Partnership. •	The IEMF seeks to provide a platform for leading experts and policy makers to study important energy and environmental issues and ensure induction of modelling and analysis in informed decision making process. •	The Forum aims to improve cooperation and coordination between modeling teams, the Government of India, knowledge partners and think-tanks, build capacity of Indian institutions, and identify issues for joint modeling activities and future areas of research. •	The workshop featured eight expert sessions which saw discussions around the various aspects of setting up an India-centric energy modelling platform. •	The session featuring representatives of key central government ministries laid special emphasis on ensuring social, environmental and economic costs of energy production and consumption are accurately calculated to future-proof decision making and policy planning. •	The workshop included extensive discussions about the framework of an India Energy Modelling Forum and its institutional, coordination and funding mechanisms. 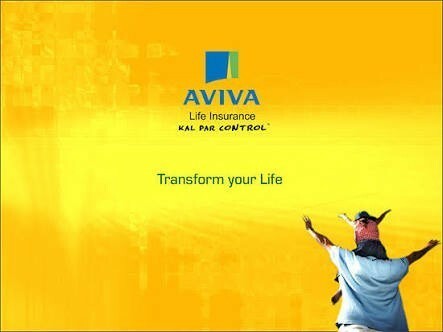 •	Aviva Life Insurance announced the launch of ‘Wings’, a specially designed mentorship program to empower the female workforce. •	It will help women dream about what they will become, giving them a clearer picture of their future and their growth prospects. •	The programme will give them an avenue to freely communicate in a safe environment, allowing them to focus on growth and improvement. •	Wings program is an initiative of the SHE division of Aviva Life Insurance for mentoring all the women employees in Aviva. •	SHE was started in 2016 by Aviva India’s Women Network as an active community of socially enabled women who take up the charge of addressing causes in the interest of women empowerment. •	Additionally, mentoring will also develop a leadership pipeline for the company thus ensuring that the practice is not just beneficial to the individual but to the organisation at large. •	Coorg Arabica Coffee is grown in Kodagu, Karnataka. •	Wayanad Robusta Coffee is grown in Wayanad, Kerala. •	Chikmagalur Arabica Coffee and Bababudangiris Arabica Coffee are grown in Chikmagalur, Karnataka. •	Araku Valley Arabica Coffee is grown around Visakhapatnam district in Andhra Pradesh and Koraput district in Odisha. •	Health Ministry takes stock of the public health measures for controlling West Nile Virus. A section of the media has reported that a seven year old boy from Malappuram District of Kerala is suffering from a West Nile Virus (WNV). •	West Nile Virus (WNV) is a member of the flavivirus genus and belongs to the Japanese encephalitis antigenic complex of the family Flaviviridae. •	West Nile Virus (WNV) can cause neurological disease and death in people. WNV is commonly found in Africa, Europe, the Middle East, North America and West Asia. 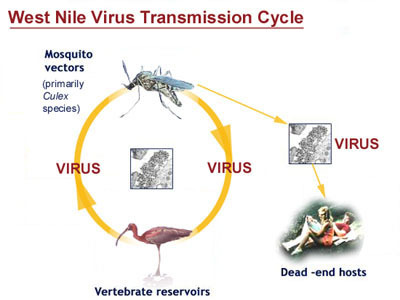 •	WNV is maintained in nature in a cycle involving transmission between birds and mosquitoes. Humans, horses and other mammals can be infected. •	Human infection is most often the result of bites from infected mosquitoes. •	Mosquitoes become infected when they feed on infected birds, which circulate the virus in their blood for a few days. •	The virus eventually gets into the mosquito’s salivary glands. During later blood meals (when mosquitoes bite), the virus may be injected into humans and animals, where it can multiply and possibly cause illness. •	The symptoms of severe disease (also called neuroinvasive disease, such as West Nile encephalitis or meningitis or West Nile poliomyelitis) include headache, high fever, neck stiffness, stupor, disorientation, coma, tremors, convulsions, muscle weakness, and paralysis. •	The Government of India has formed an inter-ministerial panel for monitoring, sanctioning and implementation of projects under the Rs 10,000-crore Faster Adoption and Manufacturing of Electric Vehicles in India (FAME-II) programme, aimed at incentivising clean mobility. •	The Project Implementation and Sanctioning Committee, for the purpose of overall monitoring, sanctioning and implementation of the scheme, will be chaired by the secretary in the Department of Heavy Industries, Dr. A. R. Sihag. •	The programme under the second phase of the FAME India scheme will be implemented over a period of 3 years with effect from 1st April 2019. •	10 lakh registered electric two-wheelers with a maximum ex-factory price will be eligible to avail incentive of Rs 20,000 each and it will also support 5 lakh e-rickshaws having ex-factory price of up to Rs 5 lakh with an incentive of Rs 50,000 each. •	It will offer an incentive of Rs 1.5 lakh each to 35,000 electric four-wheelers with an ex-factory price of up to Rs 15 lakh, and incentive of Rs 13,000 each to 20,000 strong hybrid four-wheelers with ex-factory price of up to Rs 15 lakh. •	It will support 7,090 e-buses with an incentive of up to Rs 50 lakh each having ex-factory price of up to Rs 2 crore. •	The scheme will have a Rs 1,500-crore outlay in 2019-20; Rs 5,000 crore in 2020-21 and Rs 3,500 crore in 2021-22. It will cover buses with EV technology; electric, plug-in hybrid and strong hybrid four wheelers; electric three-wheelers including e-rickshaws and electric two-wheelers. •	It also plans to support for setting up of charging infrastructure whereby about 2,700 charging stations will be set up in metropolitan cities, other million-plus cities, smart cities and cities of hilly states across India. 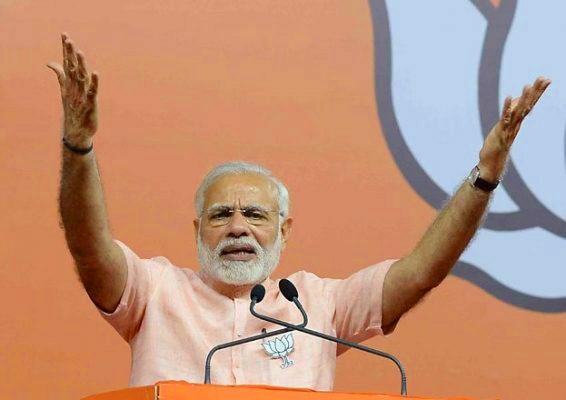 •	The Prime Minister Narendra Modi launched a ‘Main Bhi Chowkidar’ campaign calling everyone who was fighting corruption, social evils and working hard for the progress of India, as watchmen. •	Intensifying his `Main Bhi Chowkidar` (I too am watchman)campaign, Prime Minister Narendra Modi on March 31 will interact with people, who have pledged their support to the campaign, from 500 places across the country. •	The campaign has become a "people`s movement" as the `Main Bhi Chowkidar` hashtag has been tweeted 20 lakh times and had 1680 crore impressions. •	Prime Minister also shared a 3.45-minute video titled “Take The Pledge“, urging people to join Modi on March 31 at 6 p.m. for a video programme titled ‘Main Bhi Chowkidar”. •	BJP has also started a unique tech innovation called conversation cards on twitter for this campaign where people will get a personalized message from PM on Twitter on participating in this campaign.